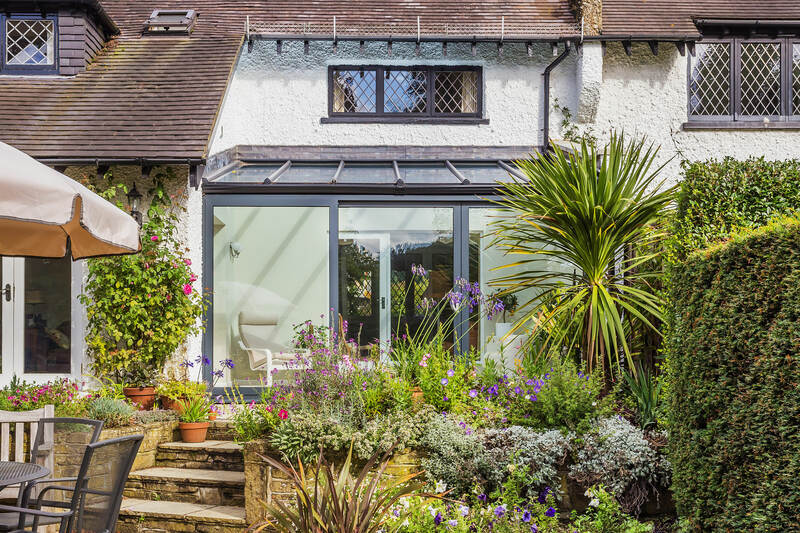 With limited space available within which to extend, Mr and Mrs Chapman asked Castle Conservatories to build a glass room that would connect two rooms in their home – while also acting as an entrance into their garden. Castle Conservatories was able to project manage the entire build. 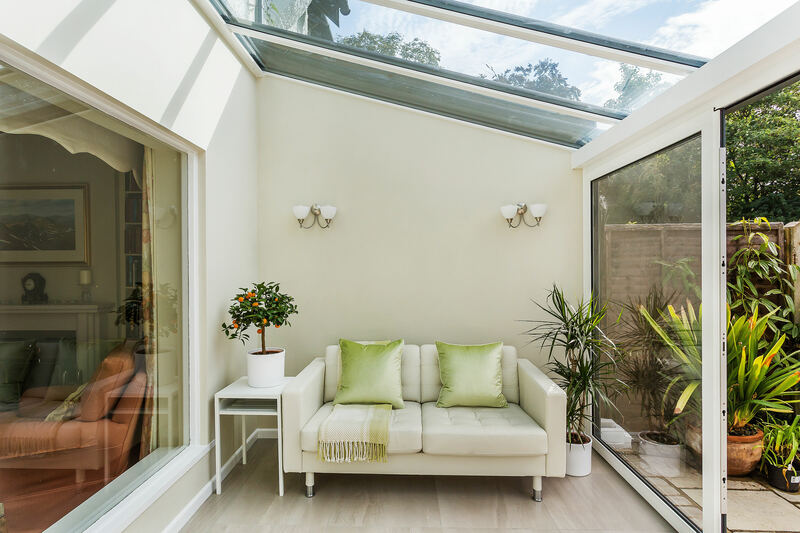 We helped Mr and Mrs Chapman choose the right conservatory roof for their build and helped with other important details too, like finding the best colour scheme. The completed glass room made the most of the space available, with no square inch wasted. The finished structure benefitted from fantastic light penetration and was easily accessible from the two adjacent rooms. 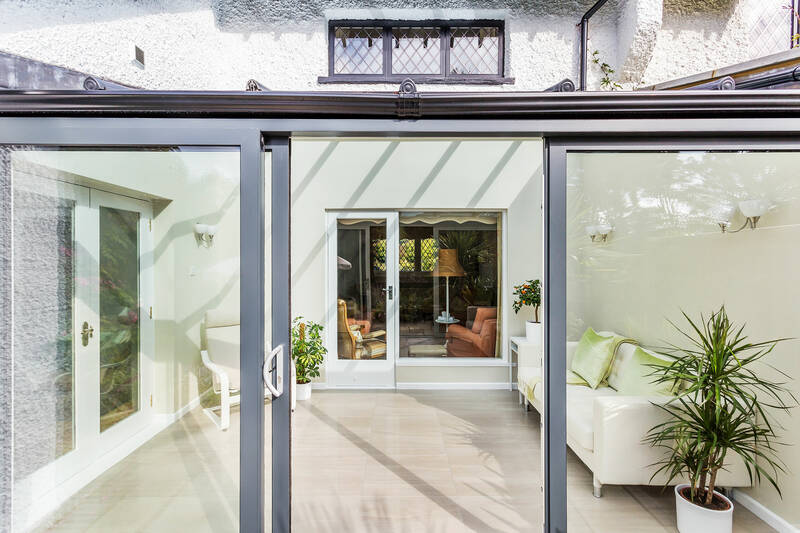 We used a high-end Ultraframe conservatory roof as the basis for the design, which was supported by market-leading doors, windows and other products. The project was completed on time and to our customer’s total satisfaction. 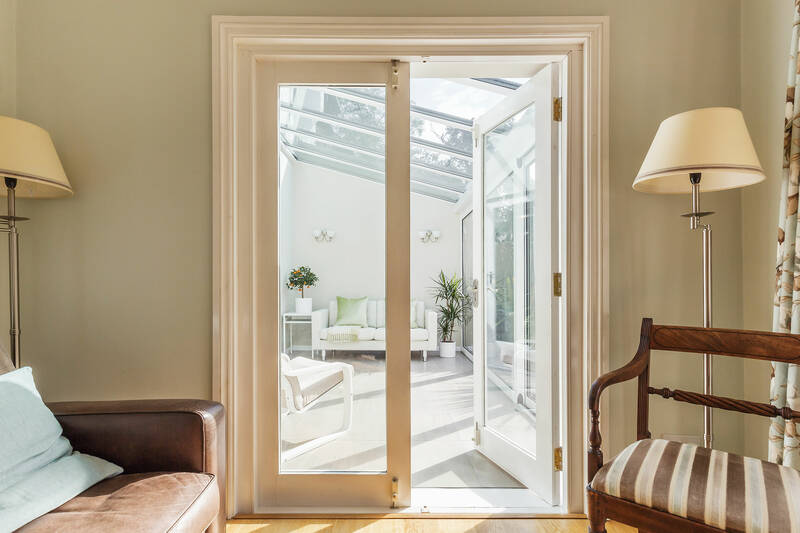 Explore our range of glass rooms, orangeries and house extensions in VR and find the inspiration you need in this case study, which demonstrates what a difference it can make when you choose the right conservatory installation partner. 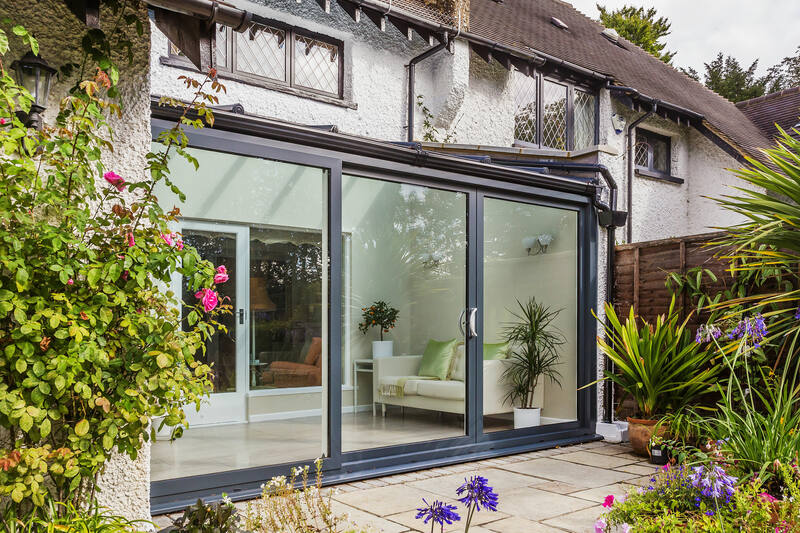 We sat down with Mr & Mrs Chapman and were able to quickly identify their design requirements, Our extensive experience – coupled with our sheer range of products – enabled us to come up with an impactful and cost-efficient solution for our customers. We recommended Ultraframe’s Classic roof because of its extensively glazed area. Although small, the glass room we created benefits from lots of natural light from above. The lean-to roof also fits neatly under the trees. 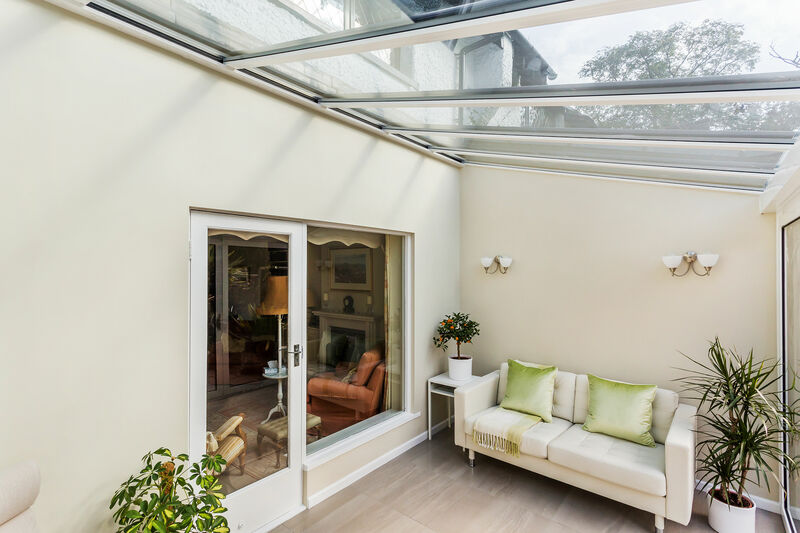 The performance glass used in the conservatory roof would limit solar ray entry, preventing the conservatory from becoming unbearably warm during the hot summer months. It would also keep the warm air locked in when it was needed most during colder weather. A patio door was used to lead people down into the beautifully secluded garden area below. Its low glass to frame ratio meant that even more sunlight could enter the small sunroom and create a much better sense of space. We suggested that Mr & Mrs Chapman use light colours throughout to prevent their glass room from feeling enclosed. The colour scheme used in the floors and windows captures light and deflects it into adjunctive rooms. The glass room pictured acts a pivotal space. It acts as a hub for the two adjoining rooms, with access being permitted via French doors that let light in – but without compromising on privacy. This allows people to navigate between home and garden seamlessly. 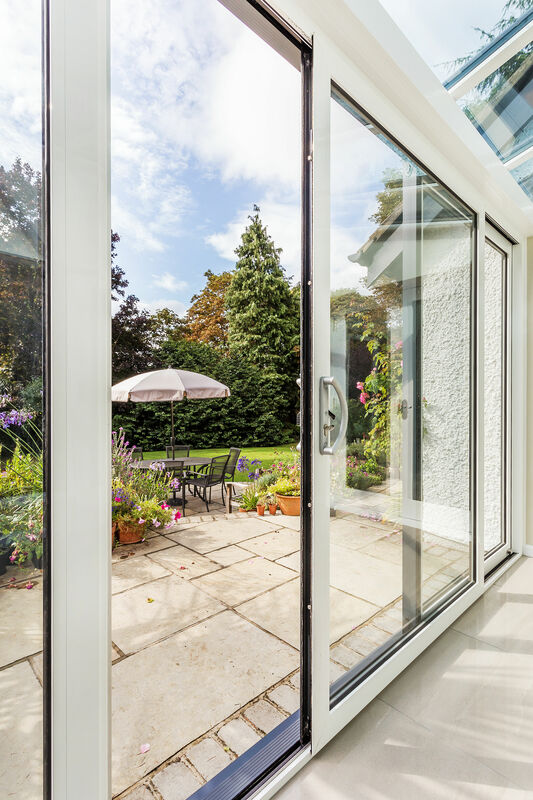 Patio doors perfectly frame the outside area and can be opened fully during busier times, so that Mr & Mrs Chapman – or any friends or family who come to visit – can navigate the threshold without any difficulties. Why not explore your design ideas by calling us. To make sure the doors we used matched the decor of Mr & Mrs Chapman’s rooms, we used two separate colour schemes. This meant that each room maintained its character, resulting in spaces that flowed together more naturally. Externally, our customer wanted their glass room to contrast with the traditional appearance of their home. Neutral grey tones have been used to create the roof and frame, so that the new structure doesn’t overpower the main property. The architectural style of the structure is minimalist and, overall, non-intrusive. 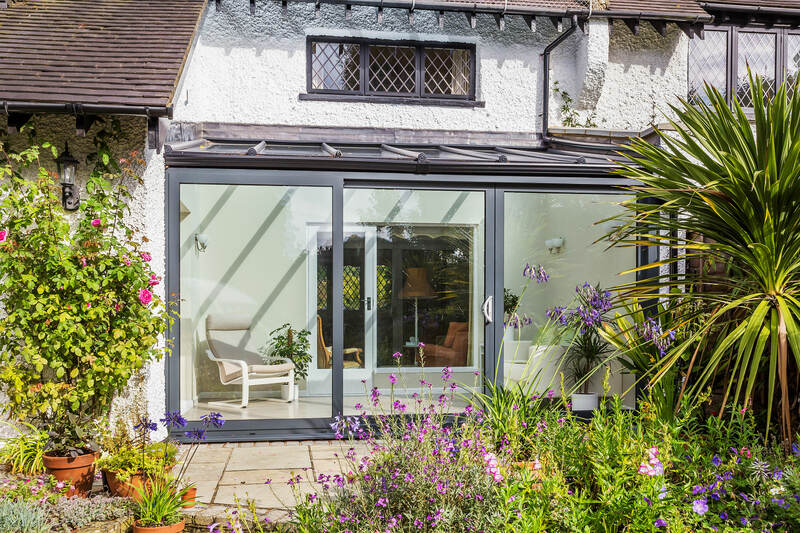 The glass room adds measurable market appeal to the home and looks equally stunning, whether viewed from the inside or outside. Castle Conservatories has extensive experience of working with customers in your area. Whether you want to achieve a modern or traditional build – or blend the best of these two styles – we’ll be able to help you. We will project manage every aspect of the installation process. 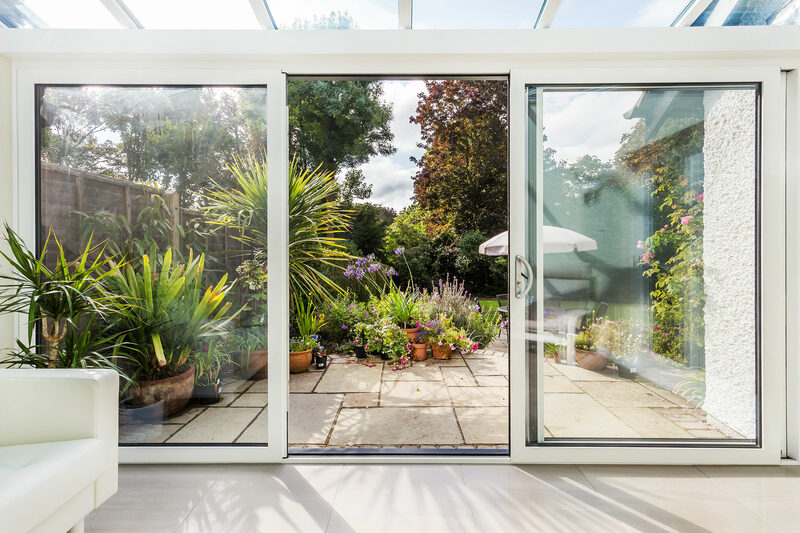 Only the best products will be used and we’ll keep you informed at all stages – before, during and after your orangery, conservatory or extension has been built. Explore different design possibilities using our Virtual Reality Tour app. Discuss the products you like with an experienced member of our team or explore our online conservatory cost calculator using your mobile, tablet, home PC or laptop as often as you like.